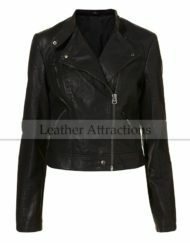 This cropped leather biker jacket has an asymmetric zip fastening, shoulder epaulettes, zipped cuffs, collar and lapel popper fastenings. 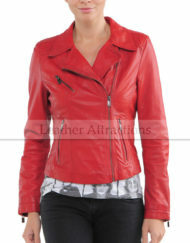 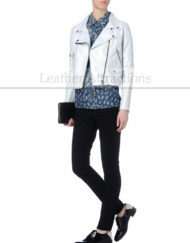 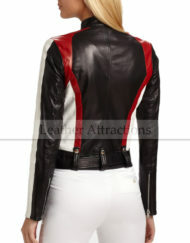 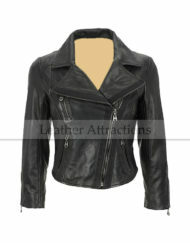 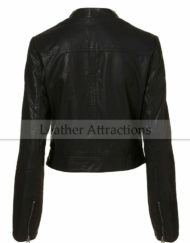 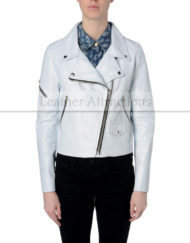 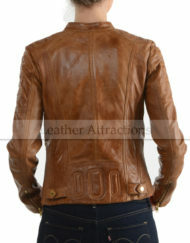 Vintage inspired crop synthetic leather biker jacket. 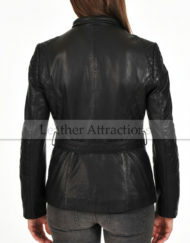 Waist & cuffs with quilted side panels & zip pockets with grey zipper detailing. 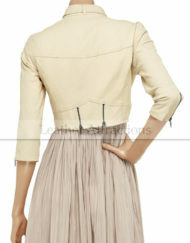 Looks awesome thrown over a cute dress worn with some docs. 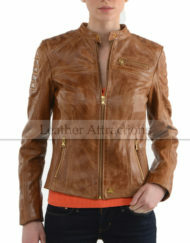 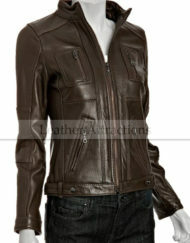 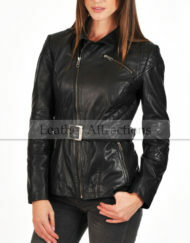 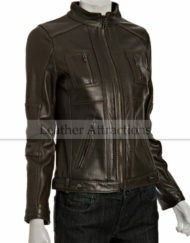 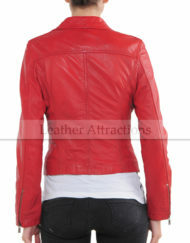 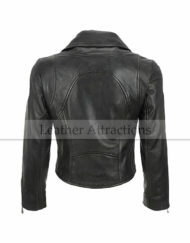 Category: Women's Motorcycle Bikers Leather Jackets.